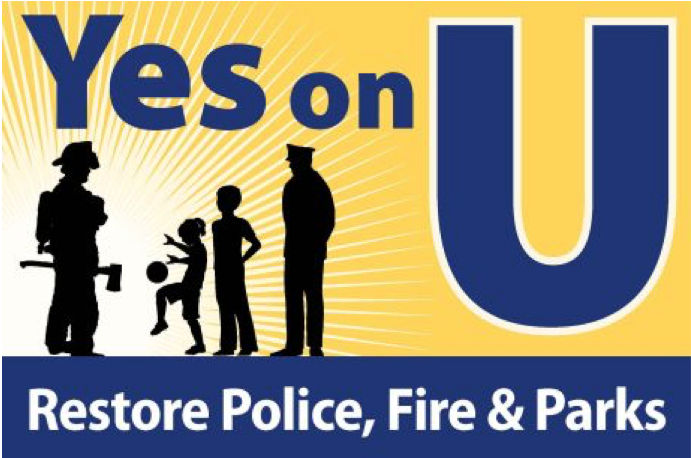 Whether on billboards or someone’s front lawn, the barrage of advertisements in favor of or against Measure U caught the attention of many Sacramento locals. For some students this was a familiar sight, but for those who have no idea what was behind the storm of fliers and advertisements, this might be a head-scratcher. So what exactly is Measure U, and how might it affect Kennedy students now that it has passed? As a temporary half-cent tax increase originally proposed and passed in 2012, Measure U raised Sacramento’s sales tax from 7.75% to 8.25%. The tax boost generated extra revenue that was then allocated to local public services, such as the Fire and Police Departments, while restoring and funding local parks and libraries in the city. According to a report by the Sacramento’s Office of the City Manager, Measure U raised $40 – $47 million annually in tax revenue in the years it had been active at the 8.25% rate, opening job slots for an extra 184 members of the police force, and two extra response units for the Fire Department. Additionally, the technology of both the Fire and Police Departments also received a much needed upgrade to further boost efficiency in serving the public. This past June, Mayor Darrell Steinberg proposed to extend the sales tax rate of Measure U from 8.25% to 8.75% with the intent to use the funds to provide affordable housing and job training within low income neighborhoods, to further urbanize unused land by Sacramento’s waterfront, and to allocate even more funds to Sacramento’s public safety and park services. Sacramento voters were divided on the updated sales tax referendum when Measure U was put in front of them on November 6. Some outwardly distrusted Measure U due to Mayor Steinberg’s vague responses in regards to which public sector areas the extra revenue funds would receive the funds. The likelihood the extra funds from this updated sales tax going to paying off city debt incurred by Sacramento’s state job pensions seems more than probable, as the revenue from Measure U will go to the city’s general funds, meaning that they can be used for any projects or payments relating to local Sacramento affairs. Those in support of the new Measure U have continued to push against those who opposed the new tax measure. Many local labor groups, like worker safety unions and building trade organizations have made significant strides to support the cause of Measure U. UA Local 447, a local union for plumbers and pipefitters, granted $50,000 on Sept. 21 to the Yes campaign, which overall amassed more than $535,000 on October 30th of this year. According to an October 2018 Sac Bee article submitted by City Councilmember Angelique Ashby, “Measure U means additional ambulances, well trained and properly equipped emergency responders, help for the animal shelter, more vocational programs and better maintained parks. It means we can increase funding for affordable housing and address homelessness.” going on to praise the benefits that Measure U would bring to the Sacramento community. Ultimately, while this will mean a higher price charge on various goods in Sacramento, this increase will be going towards a greater cause to help and develop the communities of socioeconomic means while further fund our public services. What will the true effects of Measure U be in the long run? Only time will tell.